and lay millions of eggs. 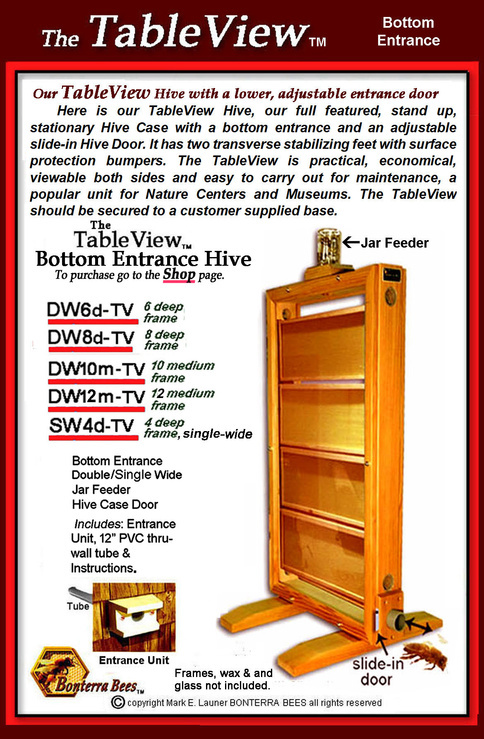 Having a Bee Observation Hive is almost like having a secret civilization right in front of your eyes, a miniature civilization of thousands of individuals working busily together, working to build comb, to store honey, to nurture a Queen, working to create thousands of new bees. They are creating a Colony, a Colony whose mission is to survive and propagate. They will propagate by swarming. As you watch the different activities of all the different individuals in the Colony, you’ll find yourself becoming intimately involved in that civilization, your Colony of Apis mellifera, your Honey Bees. It’s the wonderful world of Nature, alive, in real-time, right in front of your eyes and mind. 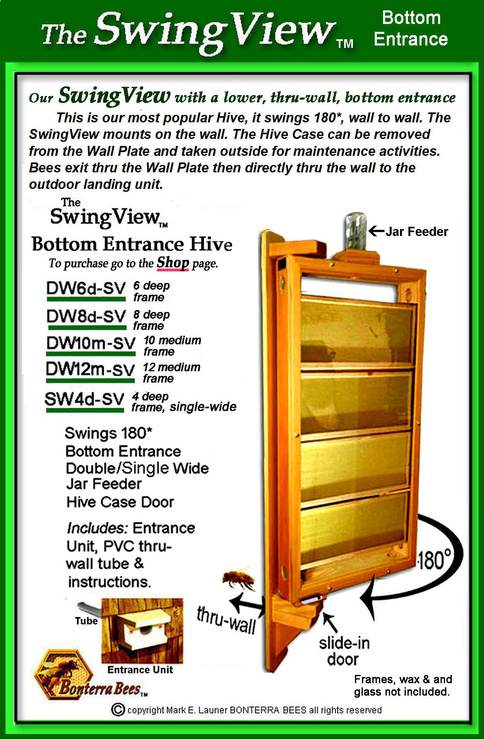 If you are a Bee Club Member, checkout the Specials page. 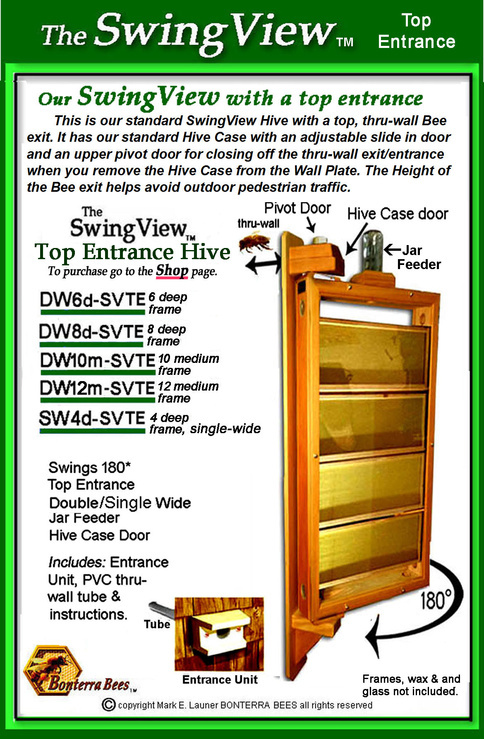 We currently have a 5% discount for purchase of a Hive when you are a member of a Bee Club. 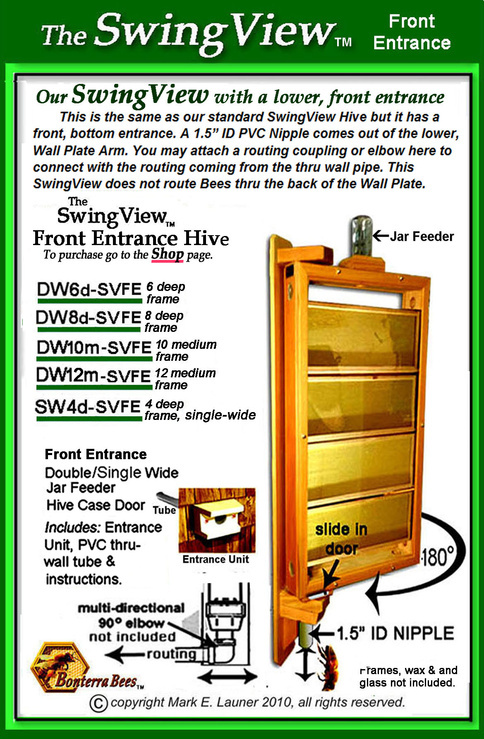 When Combined with the current Bee Season 5% discount, that's a 10% discount especially for Bee Club Members. 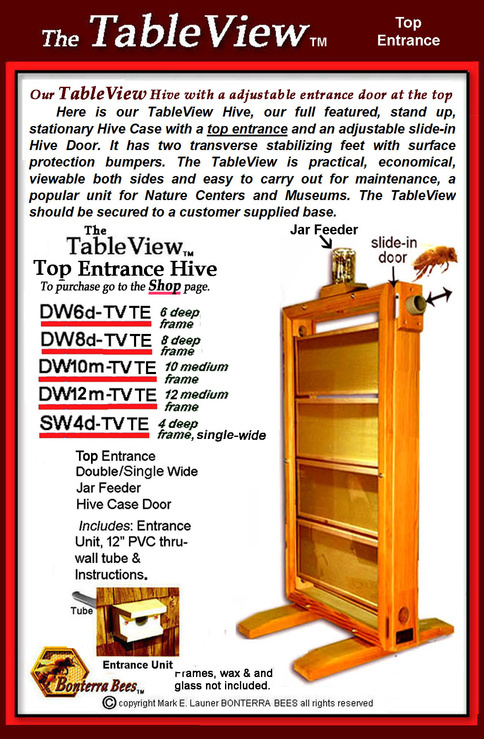 it should be noted that the scouts from a swarm look for a hive cavity volume that is close to 40 liters. 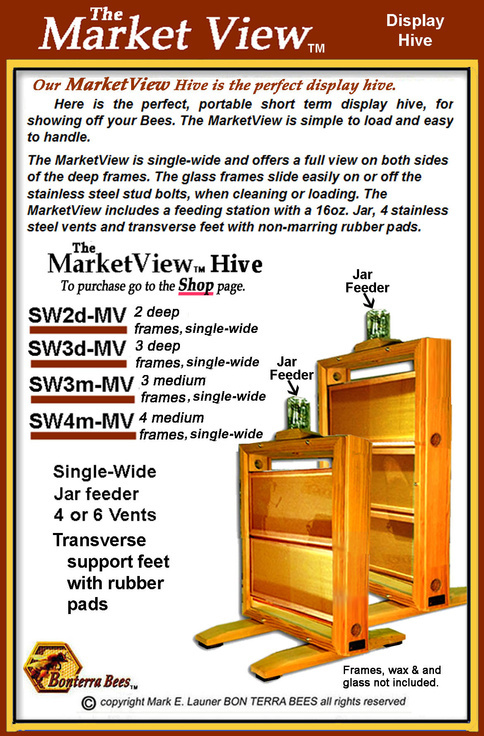 Our DW8 deep and DW12 medium Hive Cases are 42.58 liters. To purchase, go to our secure Shop page. I've kept bees since I was a kid and it has been without a doubt, extremely rewarding. I am inclined to say, "Bees are more important to this world than I am. I have learned a great deal from bees; I doubt they've learned any thing from me. I have always been fascinated and entertained by the miraculous things they do and accomplish, and I find it impossible not to be "anthro-bee-morphic" - naming a queen and seeing her personality, or watching the emergence of a new little girl worker as she crawls out of her cell, rubs her eyes and begins her life of many responsibilities to the colony. She'll nurse more young, attend the queen, build cells, make honey and royal jelly, fan the hive. Eventually she'll leave the hive to forage the countryside and tirelessly bring back nectar and pollen. And those lazy Drones, what a lazy life they have...until it's Winter and the Colony doesn't need an extra mouth to feed. 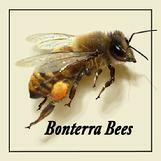 Bonterra Bees is the leader in innovative design and exquisite craftsmanship of indoor and outdoor honey bee observation hives. We invite you to compare price, design and quality to all others. 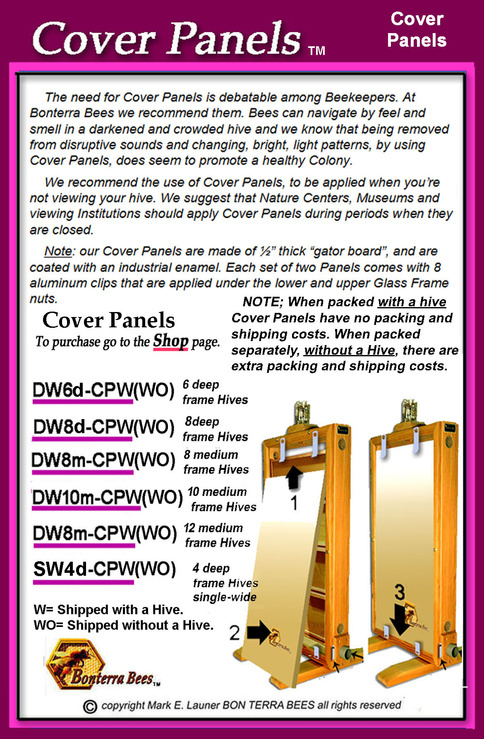 Look over our Hive Case Features - many are copyrighted and exclusive to Bonterra BeesTM. 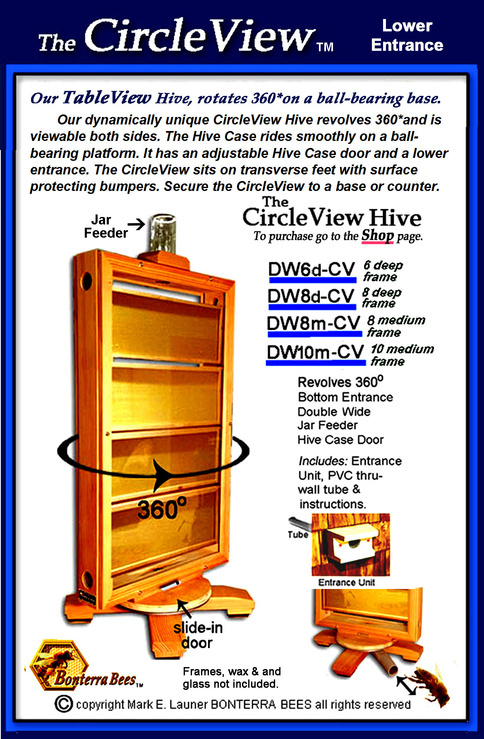 Then visit our Hive Case Options page to create your own Observation Bee Hive. 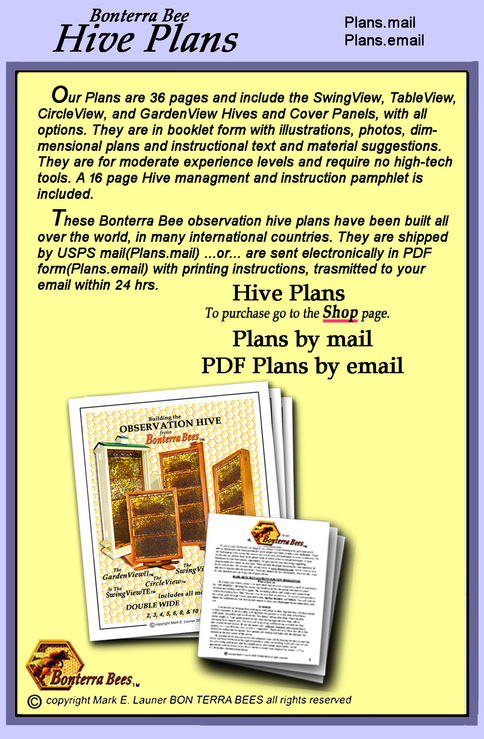 For do-it-yourself enthusiasts, we also offer a complete set of plans that includes all current models. Our 32-page booklet is available in both print and PDF formats.